The Dow Jones industrial average surrendered as many as 1,500 points in a terrible week for the longs, and the bear market in stocks today showed no signs of letting up. The Dow slid around 0.8% Friday with an hour to go in the regular session. The Nasdaq composite did worse. The tech-centered index got overrun by institutional selling in the FANG stocks as it dropped 2%. The S&P 500 dove more than 1%. Volume was running sharply higher vs. the same time Thursday. The monthly and quarterly expiration of options helped boost turnover Friday. But as is typically seen in a bear market correction, institutional selling tends to intensify. Nike (NKE), which posted fine quarterly results late Thursday, posted a stylish 7% gain in heavy volume. But as the daily chart shows, the large-cap apparel play is facing serious upside resistance at its downward-slanting 50-day moving average. Sandals maker Crox (CROX) gained 2% as it bounced bullishly off the 50-day moving average. Nike and Crox’s gains helped boost the shoe manufacturing group to a 1.8% price-weighted gain. According to IBD Stock Checkup, Nike gets a respectable Composite Rating of 87 on a scale of 1 (terrible) to 99 (terrific), but the D- Accumulation/Distribution grade means that over the past 13 weeks, institutions have been heavy sellers of Nike shares on net. At 72.35, Nike now trades around 15% below a 52-week high of 86.04. While the athletic apparel giant is still in the early stages of building a new base, it’s holding up far better than many former leading tech stocks that have fallen 20% to 40% from their all-time peaks. Wood products, paint, automaker, soap and steel firms also advanced. But around 50 industry groups among the 197 industry groups that IBD tracks on a daily basis fell 2% or more. The small-cap S&P 600 slumped more than 1.5% en route to posting its sixth drop in seven sessions. At 815, the 600 is also deep in bear market country, trading 25% below its all-time high of 1100. Two failed follow-through rallies (on Nov. 7 and Nov. 28, as covered in The Big Picture) led to the key equity indexes undercutting recent lows. At this point, the saying “don’t catch a falling knife” carries a ton of wisdom. 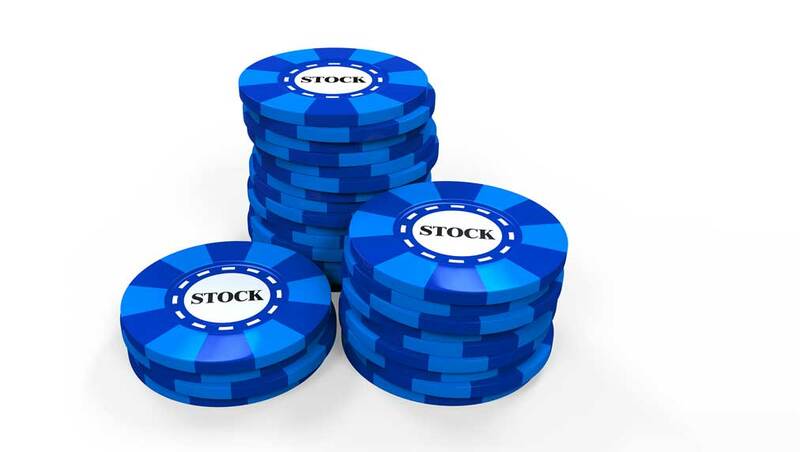 Here are three additional reasons to keep your powder dry, maintain an updated watch list, and wait patiently for the stock market to make its inevitable bottom. One: Despite the slaughter in equities since October, numerous investor sentiment gauges have not shown total capitulation or utter despair. IBD research has found that bear markets tend to conclude only after bearishness among both individual and professional investors has hit climactic levels. Meanwhile, the bullishness among market pundits polled by Investors Intelligence, which fell to 39.3% this past week, is still well above the bears ratio (21.4%). During the bear markets taking place in 2000 to 2002, 2008-2009, and 2011, the bears ratio rose above bulls as these serious declines eventually ended. Meanwhile, the CBOE Market Volatility index (or the VIX) jumped more than 4% to 29.62, but that’s still well below this year’s peak of 50.3 set in February. The VIX tracks fear and greed among options traders. Two: Bear markets typically need nine months of time to wear out investors. 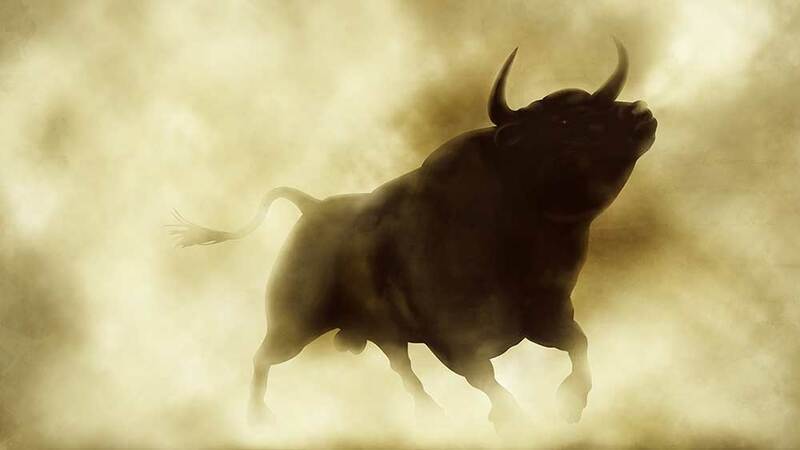 Since the cataclysmic dot-com crash of 2000-2002, no doubt, bull runs have shown longer lives. So, given the strong run-up since the latest 20%-plus drop in the Nasdaq (in 2011), it could take a while before institutions become confident about the overall economic and earnings pictures. Three: Scads of big market winners have made superlative runs. They include big and megacaps hailing from the semiconductor, software, computer networking, internet, biotech, ethical drug, medical equipment, retail apparel, consumer goods and other industries. So, if you see former top winners fall 40% to 50% or more from their all-time peaks, expect the bottoming process and basing work to last quite a while. Use the IBD 50 and Big Cap 20 as gauges for how deep top growth stocks fall from their 52-week highs. Apple (AAPL), which emerged as a turnaround play and big-cap tech winner when it broke out of a first-stage 12-week cup with handle on Jan. 6, 2017, staged an impressive run over the past two years. It briefly hit a $1 trillion market cap, being the first U.S. company ever to do so. At its peak of 233.47, the iPhone giant amassed a gain of nearly 98% from the proper buy point of 118.12. Now, shares have slid 35% below that 233.47 peak as Apple tries to set a new bottom. The stock fell more than 3% and hit a session low of 149.63. Volume was running at a 47% pace above its 50-day average turnover of 42.6 million shares per day. Meanwhile, investors really cannot depend on defensive industries (think food and alcohol, utilities and telecom services) to carry the market sharply higher. New bull markets need new big-growth stocks. The Innovator IBD 50 (FFTY) ETF, a 34% winner in 2017, slid 3.5% to 25.88 in above-average volume. That marked FFTY’s lowest level since April 2017. The ETF is down 22% year to date. Demand remains healthy for long-dated U.S. government bonds. The yield on the benchmark Treasury 10-year note held steady at 2.79%, down from 2.98% on Dec. 3. Earlier on Friday, the government revised third-quarter U.S. GDP growth a touch downward to 3.4%. Econoday forecast a 3.5% annualized gain. Core capital goods orders fell 0.6%. The spread between 3-month T-bills and the 10-year note is now at 41 basis points. At the start of the year, the spread was 102 basis points, ahead of a quartet of quarter-point hikes in the overnight fed funds rate by the Federal Reserve. On Wednesday, the U.S. central bank raised rates by 25 basis points to a target range of 2.25% to 2.5% — the highest since the rate stood at 2.2% in March 2008. Crude oil futures bounced from an intraday low near $45 to rise to around $46 a barrel. 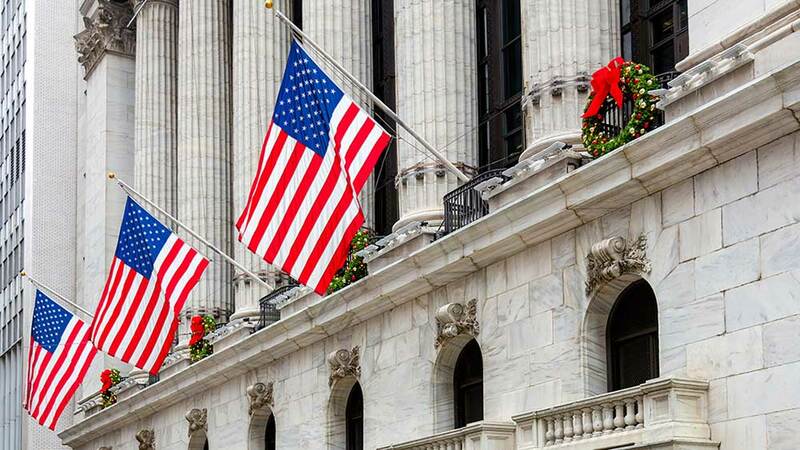 The U.S. stock market will close at 1 p.m. Monday ahead of Tuesday’s Christmas holiday. Please follow Chung on Twitter at @IBD_DChung for more on growth stocks, chart analysis, sell signals and financial markets.